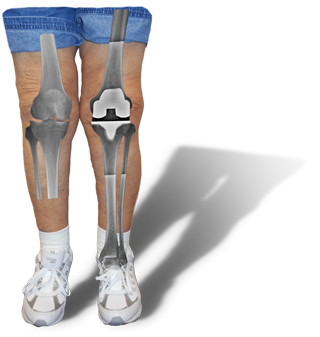 Watch this video that explains how a knee replacement surgery is performed. Review other options for surgical management of knee arthritis. Are your ready to have surgery? A surgeon’s perspective can help you to decide when is the right time to proceed with knee replacement. Learn the timeline for recovery following surgery. The importance of ice, elevation, sleep, exercise, motion, and patience is discussed. 18 simple Exercises. This home exercise program will prepare you before surgery and will help you regain excellent motion and strength after surgery as well. Create your own custom knee replacement surgery timeline to provide timely safety notifications, education, checklists and surgery specific reminders. 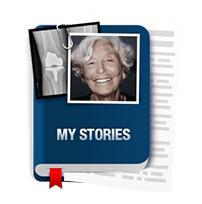 Read stories from patients just like you. Find out what made them decide to have surgery and how their life changed after surgery. Post your story and comments for others to read. There are several types of knee implants including cruciate retaining, posterior stabilized, and rotating platform. Learn how they work and the reasons for their use. Returning to work can be challenging. Discover when is the right time frame depending on your type of work and how successful you may be. Read others' experiences.